Welcome to Smoke Inn, Vero Beach. The next time you're in Vero Beach stop by for a smoke and see what's available in the LARGEST walk-in humidor in the area! 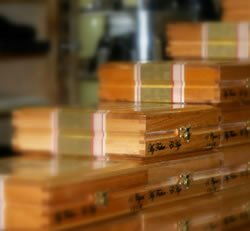 You can browse for your cigars comfortably and our staff is easily available to answer any questions you might have. We carry all of the top premium cigar brands, Arturo Fuente, Ashton, My Father, Montecristo, Padron, Rocky Patel, Sindicato, Tatuaje and more.